The power is beyond words. 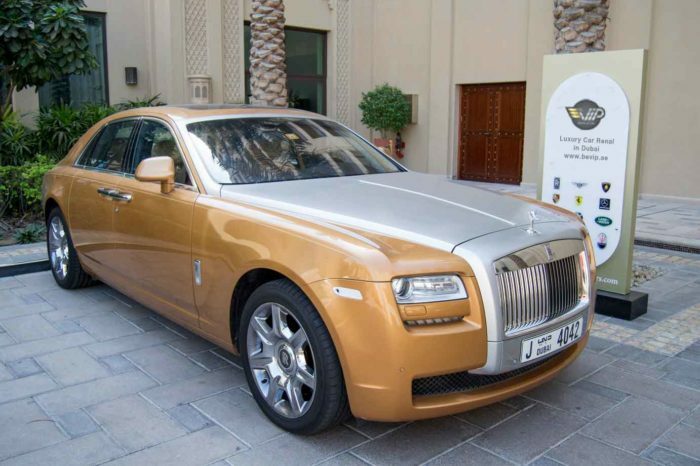 The handling is perfect. 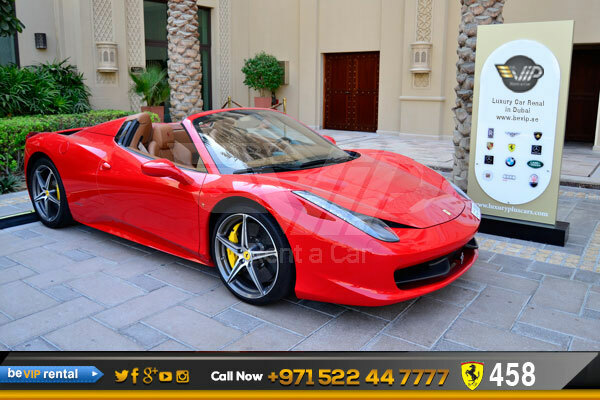 And when you rent Ferrari in Dubai from Be VIP Sports Car Rental, the 458 is cruising around Dubai, it’s downright sedate. 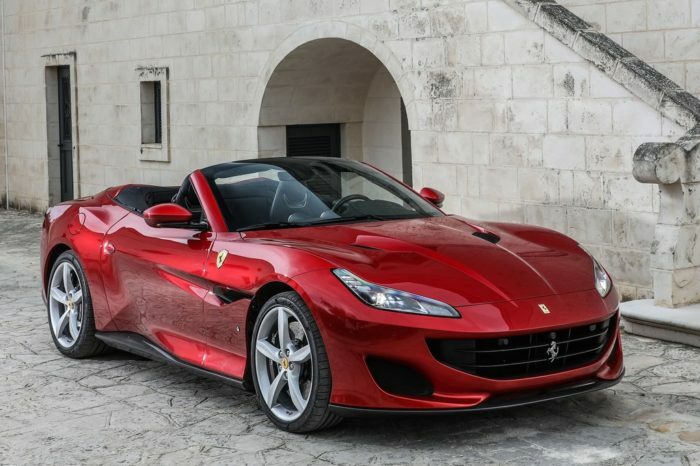 Hit the gas on the highway, though, and it comes to life like no other Ferrari in history. 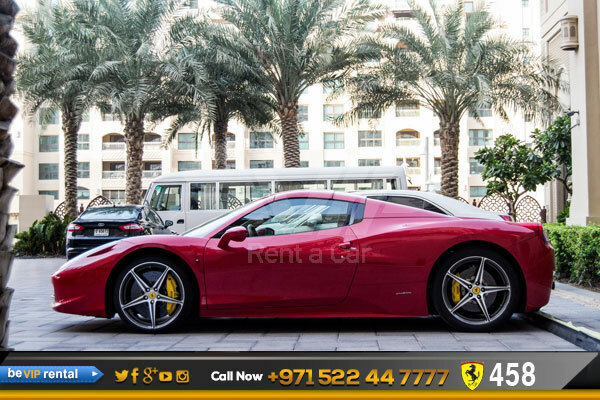 Rent a Ferrari 458 in Dubai from Be VIP Sports, matter where you’re heading you will have an unforgettable experience full of gratifications, power and excitement. 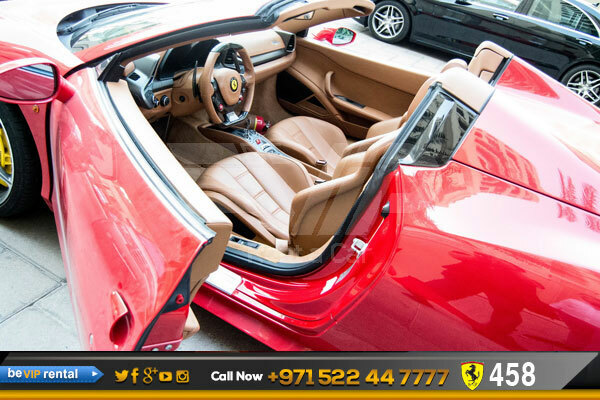 Ferrari cars are probably the Italian most recognizable symbol of wealth and exclusivity all over the world. 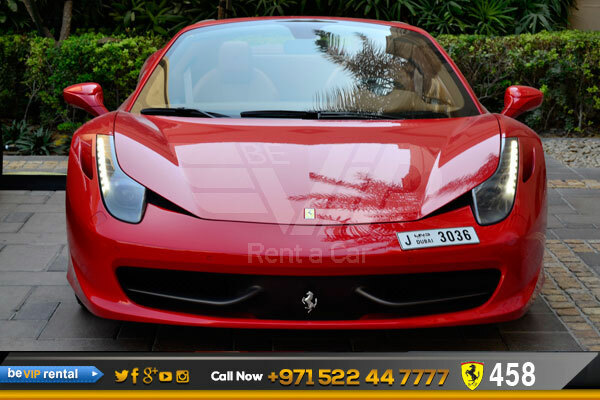 This Ferrari 458 for rent in Dubai, like the rest of our Be VIP fleet, is available for pick-up at our Dubai office or, if you prefer, can be delivered to you at your home, office, airport, hotel, or just about anywhere you need it. 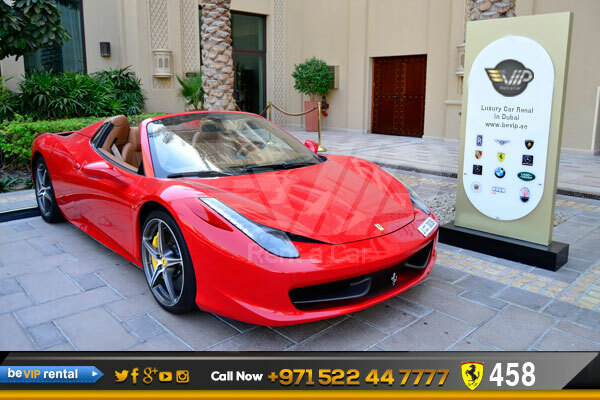 We cover the Dubai and all UAE. 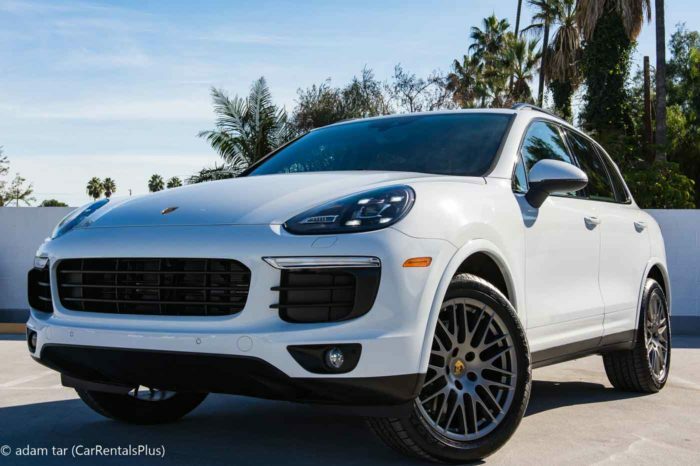 Just say the word and we’ll be there with your dream car.